Whilst studying the course, you will be offered practical tuition to compliment the knowledge that you build through reading the course modules. Our one-to-one practical tuition is flexible and can be taken at the time of your choosing. You will practise inducing hypnosis and experimenting with different techniques until you find the ones that suit you, and you will receive invaluable feedback afterwards. 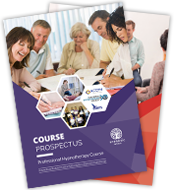 Whilst recommended, practical tuition is an optional component of the course, as the correspondence-based modules cover the key aspects of your hypnotherapy training. Our regular workshops offer you the additional opportunity to put your knowledge into practice, keep up to date with new developments in the field of hypnosis as well as meeting other students and hypnotherapists. Topics covered include rapid inductions, suggestibility tests, working with Time Lines, Emotional Freedom Techniques, Parts Therapy, use of ideomotor techniques and past life regression. About › Practical Training ProviderFaith Waude DHP Acc. Hyp. Faith is a co-founder of the Hypnotic World International Academy of Hypnotherapy (HWIAH) with over 15 years of experience in the field of hypnotherapy. She has been instrumental in teaching mental health care professionals in these areas and is primarily involved in designing the Professional Hypnotherapy Diploma Programme. Faith has a successful hypnotherapy practice and receives regular referrals from GPs for help with patients with anxiety and phobias. Meira Shore is an experienced hypnotherapist and NLP master practitioner with a strong track record. She works from Graceland's Yard in London NW10 (www.gracelandsyard.com) and at the Healthy Living Centre, London N1. Through hypnosis and NLP, Meira provides a caring, empathetic, relaxing, compassionate and confidential approach in helping relieve stress, anxiety, panic, phobias, unwanted habits and addiction (e.g. smoking, overeating, binge drinking) she helps with lack of confidence & low self esteem, disturbed sleep patterns, fear of exams and public speaking, stage fright, fear of flying, and much more... Read More . For further information on treatments or to book an appointment, please call Meira on 07966 65 92 99 or visit Meira's site. Lyta has over 10 years' experience as a hypnotherapist and specializes in anxiety disorders and one session Stop Smoking. She is also a HypnoBirthing Practitioner and has a busy practice in Devon. Lyta trained with UK College of Complementary Health Care, St. Charles Hospital, London, and offers practical tuition to students around that region. Lawrence Pagett has been fascinated by the intriguing art of hypnosis from the age of 8 years of age when he started to practise and experiment with many forms of mind/body disciplines. Professionally, Lawrence comes from an educational background with many years experience. He has helped, guided and instructed countless people from around the world... Read More . 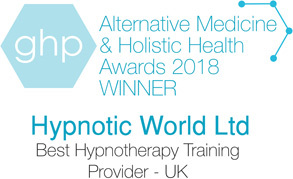 John has over 25 years' experience as a hypnotherapist and presents many of Hypnotic World's training workshops in a clear, easy-to-understand manner. His unique style of teaching enlivens our workshops, with many attendees returning again and again. Based in Scotland, but also available for consultations in Sheffield, John has developed his own unique method of helping clients with depression which is outlined in his new book that is about to released. I started my working life in the NHS as registered general nurse and achieved the rank of Senior Staff nurse on a female medial ward before succumbing to a back injury which ended my nursing career. Wanting to stay in the helping people industry, I then studied Social Work and counselling and on qualifying, worked in local children and families social work team for several years. I moved in to working in the public and private sectors in varying customer service roles, in different industries progressing through to team leader and customer service management roles... Read More . In 2010, I realised that I was missing the personal interaction I'd had in nursing and social work and looked for a way back in, but in a way that I could be an instrument of change. I found an integrated NLP, Hypnotherapy and coaching course, a great trainer and never looked back. I set up my own clinic in 2011 offering a range of services from weight loss management, fears and phobias, stopping smoking through to stress and anxiety management. I did find that the majority of my clients were suffering from stress and anxiety and this has over time become a bit of a speciality. I now work with local mental health organisations and companies in offering wellness programmes and workshops. I now have written several articles on stress and wellness for a Channel Islands magazine and look to progress my writing further. In 2013/14, I was given the opportunity to undertake my 'train the trainer' training and have been involved in many courses over the past months. Seeing people transform first themselves and then inspiring them to help others is probably my proudest achievement to date. Since training as a hypnotherapist more than 15 years ago, Eileen's experience has involved working with a wide variety of clients. She has seen clients with issues including phobias, weight loss and stop smoking, as well as anxiety, IBS, stress and other stress-related problems. She is also trained in hypnosis for birthing and hypnotension, and has counselling qualifications. Eileen is based in Leatherhead, Surrey. He specialises in anxiety and related conditions with a 85 to 90% success rate with clients with issues in this field. Paul has developed his own techniques to help clients with issues relating to his speciality, which involve regression when required, and a mixture of NLP, traditional hypnotherapy, reframe work and Ericksonian-style training cycles. She helps clients to relieve stress, panic attacks, phobias, addictions (smoking, over-eating), as well as helping with lack of confidence, low self-esteem, fear of exams and public speaking, and much more. Angela incorporates EFT with her sessions. She is also a Reiki Master/Teacher. Elaine has 20 years of experience helping clients with a range of issues. She has worked as a counsellor/senior counsellor in a university environment, and holds a Diploma in Clinical Hypnotherapy, a Diploma in Hypnobirthing 2014 Dip HB (KG) and belongs to the Hypnobirthing Association. In addition to helping to train new hypnotherapists, Elaine runs her own private practice in Cardiff. Sally is a fully qualified Practitioner of Clinical Hypnotherapy with extensive experience in the private and corporate sector. Having gained her original Diploma in 2005, she has since completed over 300 hours of advanced training in the areas of Pain Management, Advanced Analytical Hypnotherapy, Medical Hypnotherapy and Hypnosis for Therapeutic Transformation... Read More . As an integrated therapist with over 20 years combined experience, you can feel assured that you will be taught by a therapist that has trained with the world renowned Andrew Newton & Dr John Butler and taught 100's of students all over the UK. Sally runs a full-time practice and understands what it takes to be a success in this industry. Trained by the LCCH, I completed my Diploma in Hypnotherapy in 2007 and followed on with the Master Practitioners Diploma in 2008. I have been in practice ever since. I am now very pleased to be combining my experience enabling me to train others in Mental Health and using hypnotherapy as an effective tool for wellbeing... Read More . I work with complex issues including early childhood trauma, abuse, PTSD, anxiety, addictions, depression, OCD and phobias. I also work with food and weight issues and stop smoking. My clients range from children age 5 upwards to adults as old as 105 to date. It is my aim to resolve their concerns in a short a time as possible teaching them skills for life to use when life has its ups and downs. Maria Page runs a busy practice in Leicestershire. She has been a hypnotherapist since 2005 and deals with mental health issues, confidence building, eating disorders, addictive behavior, anxiety and panic attacks, past life therapy, weight loss, passing exams and driving tests, fears and phobias and also clients who want to develop further in their chosen career... Read More . Over the years, Maria has studied numerous courses including NLP, mindfulness, stress management, child psychology, psychotherapy and counseling and cognitive behavioural therapy (CBT). She has written numerous courses and presented workshops, and has a range of clients from young to old, many who see her via recommendation. Maria also hold relaxation classes, teaching others how to de-stress.